The story of the Tswana of Botswana - Mma Ramotswe Rules! 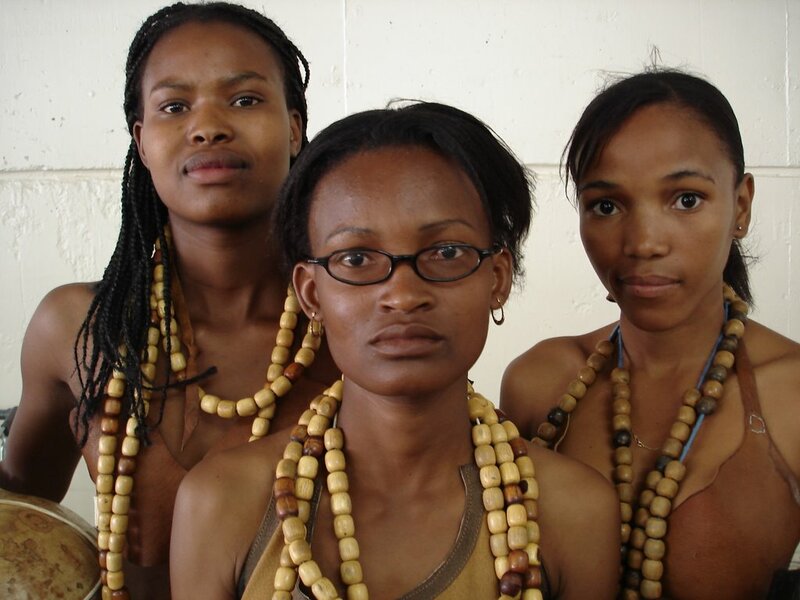 Setswana is one of a subset of Bantu languages called Sotho-Tswana. These people appear to have originated around the Katanga area of modern-day Democratic Republic of Congo and Zambia. They share features such as totemism, a pre-emptive right of men to marry their maternal cousins, and an architectural style characterized by a round hut with a conical thatch roof supported by wooden pillars on the outside. Other major distinguishing features of the Sotho-Tswana included their dress of skin cloaks, and a preference for dense and close settlements, as well as a tradition of large-scale building in stone. The standard theory asserts that the Sotho-Tswana separated from other Bantu-speaking peoples in the vicinity of the Great Lakes of East Africa, and proceeded southwards along the western part of present-day Zimbabwe. The Sotho-Tswana crossed the Limpopo River (which forms part of the border between both Zimbabwe and Botswana and South Africa) around 200-500 CE, along with another major grouping, the Nguni people. The Nguni settled around the eastern shoreland of what is now South Africa, and the Sotho-Tswana around the central highlands of what is now South Africa (the Highveld). What seems to have happened now is that the Setswana established themselves in small tribal groups under the command of male leaders. As the area in which they were settled became over-populated, environmentally degraded, subject to severe drought, or under attack by a neighbouring group, smaller groupings, often under the command of a ruler’s son, would head off to find somewhere better. 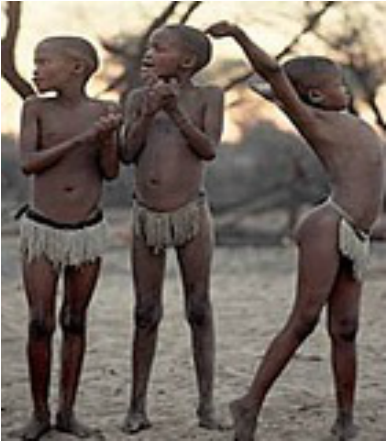 Gradually this led to their settlement of the areas they live in today, including Botswana. 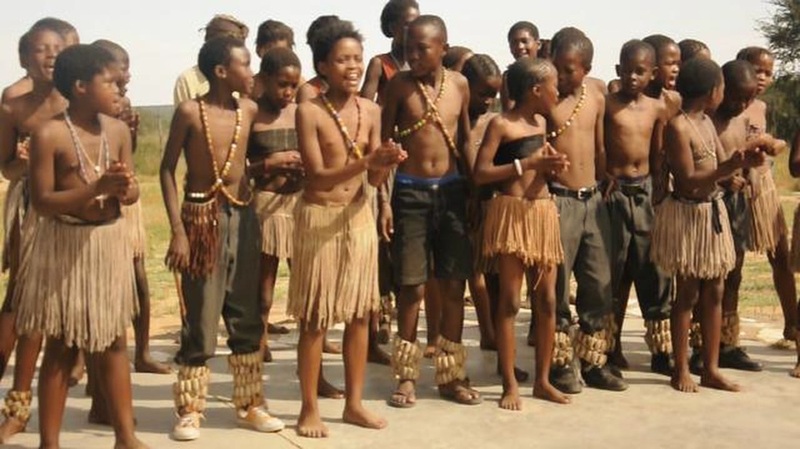 After the Bushmen, the next major grouping to arrive in what is now Botswana were the Tswana, who now comprise around 80% of the population (although, in reality, this proportion is unknown as there has apparently not been an ethnic/racial/linguistic survey of Botswana’s population since around World War 2). The tribal name "Tswana" lives on in the name "Botswana", and the names all people of Botswana use to describe themselves when speaking of themselves as citizens of Botswana, the plural Batswana, and the singular Motswana (so Mma Ramotswe is a Motswana, and Mma Makutsi is a Motswana, and Mma Ramotswe and Mma Makutsi together are Batswana). The language the Tswana speak is Setswana. Through tribal movements over time and, more importantly, artificial boundaries applied by interfering Europeans, around two-thirds of Setswana-speaking people actually live in what is today called South Africa, with quite a few also in Lesotho. Setswana is one of the Niger-Congo family of languages, which includes some 1500 languages (there is apparently quite a lot of argument among linguists as to how many are distinct languages, and how many are dialects), spoken by some 85% of sub-Saharan Africans, and which include such major southern African languages as Swahili, Shona, and Zulu. These three languages, along with Setswana, form part of the Bantu family of languages, which number somewhere between 250 and 500 (the same dialect issue).